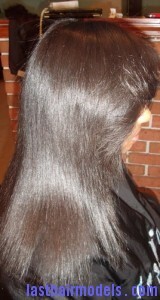 Thermal flat irons are usually used to flatten the hair temporarily and it can cause less damage permanent treatments. 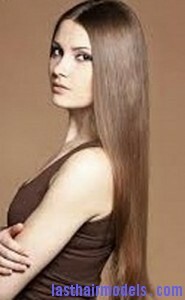 It can also flip or curl the hair strands according to a person’s desire, helping to increase volume. Here are few simple steps that can helpful in using a thermal flat iron. First collect your entire hair to create a bun and then secure it with a hair tie. 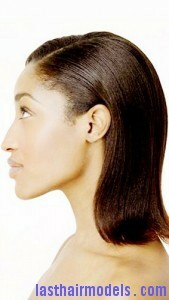 Take a thin layer of hair from the nape of your neck to divide it equal to the size and thickness of flat iron’s plate. 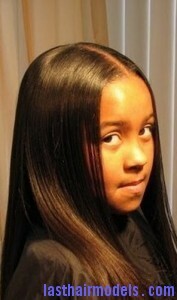 Now keep the flat iron near your scalp and close the plates around your hair. Try to slide flat iron down your hair at a moderately fast pace without stopping in the middle and release the iron when it reaches the tips of your hair. 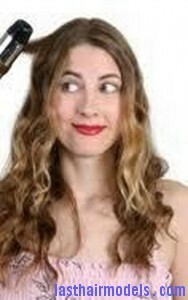 Next flip the ends of your hair by turning the flat iron up and turn the flat iron down to flip the ends inward. Make the hair wavy by clamping a one inch section of hair by turning the flat iron about one-and-a-half turns left or right. Smooth the flat iron down till the end if of your hair as usual and use the same method on the hair that is not been flattened. Avoid keeping the flat iron on any section of the hair for long as it can cause damage to the follicles. Take another piece of hair and use the same process to flatten it.